Gone are the days of searching through endless circus, YouTube tutorial videos, or scrolling through inspirational quotes pinned underneath a yoga split in front of a sunset, praying for a hint on how to balance a handstand! 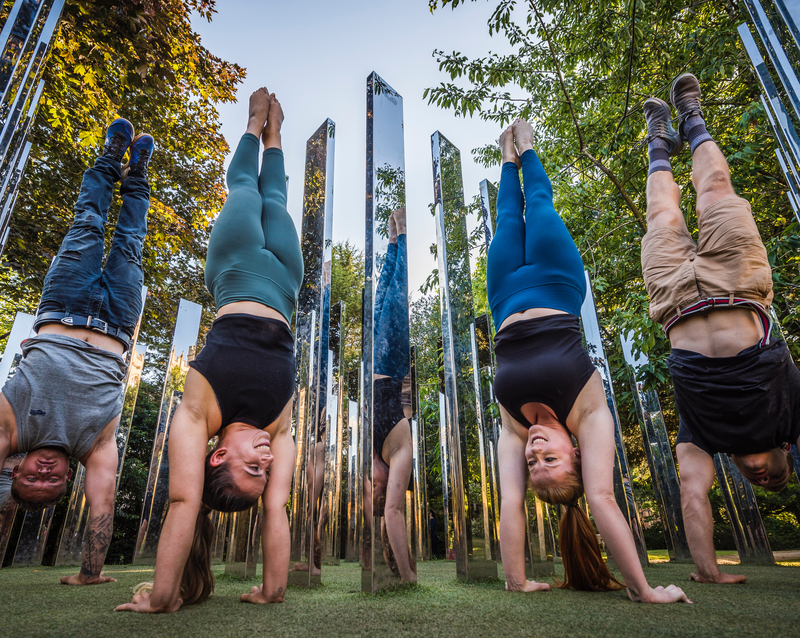 HTH provides a realistic expectation of what is required to train to do this intricate acrobatic skill and are there to walk you through a step-by-step process to work up to being able to hold your handstand. We work with the best coaches, teachers and bodyworkers with the most up to date anatomical knowledge. This way, we keep you as safe, strong and balanced as possible, and you get good at handstands. Efficiently, effectively and safely – this is how to learn to do a handstand. Properly. Free Handstand System gives you a chance to try before you buy. We’re dropping some knowledge bombs on your doorstep. Providing A* value so that you can build a trusting relationship with us. Online programs for handstands, flexibility and more. We’ve designed the programs to be as individually tailored as possible to suit your level and needs. Get the best props and equipment to accelerate your journey to physical excellence. We offer lovingly crafted blocks, canes, books and more to compliment your practice and training. Is this really a skill for everyone? Suddenly, wanting to learn to stand on your hands doesn’t seem so scary. Learning how to hold a handstand is not an easy journey – it is a challenge and that is one of the reasons why we love them! It’s the ultimate in bragging rights. When you start doing your practice, watching just one video at home or a tutorial in your lunch break at work, you will be amazed at your progress. Where one week you were struggling to get your feet to the wall, suddenly you are able to train for longer and able to hold your handstand, tentatively, away from the wall… and stay up without falling. Suddenly, you are enjoying it! And almost without you realising, it becomes something within your grasp (for you to work up to). Learning to hold a straight handstand is an incredibly satisfying fitness challenge – it is hard work. Get the family involved! Handstands are a skill that is great for grown-ups but also for kids, perhaps you have little ones around that would like to help you with your new project! Perhaps you are a fitness professional – training for a perfect handstand in the gym or on social media is also fantastic promo for your business and a great way to allow people to feel connected to your journey. Need a challenge in order to get out of bed in the morning? Why not learn to stand on your hands! And then one day, if you do a good enough job, you can get out of bed ON your hands! As well as developing physical skills, handstands also help develop confidence. Becoming more aware of your body allows you a greater appreciation of what this incredible machine is capable of – and often you will want to show that off! How To Handstand is here to support you on every step of this journey, from pushups to your press handstand to your first purchase of handstand canes and beyond! Whether you are a crossfit enthusiast training for your ultimate handstand push up, a yogi seeking to keep balance in the middle of the room (and hold it! 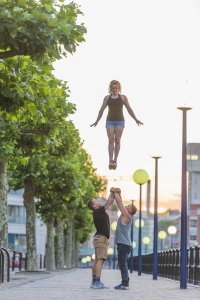 ), or a circus artist training to improve your hand stand tricks to perform, this website has a pathway for you to work on. We have developed a series of innovative accessible drills and exercises designed both for beginners who just want a workout and for those seeking the handstand progression required in order to achieve perfection.